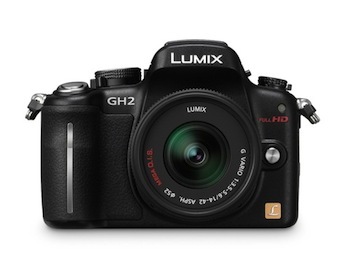 " Panasonic's Lumix DMC-GH2 is the latest member of the New Generation System Camera Lumix G Micro System. Fully compliant with the Micro Four Thirds System standard, the Lumix G Micro System combines a downsized body with advanced functions that achieve both high performance and operational comfort. " Our testing confirms that EditReady successfully converts Panasonic GH4 footage. This means that files from the Panasonic GH4 can be converted and transcoded, and played in applications like Quicktime Player, iMovie, Avid, and Final Cut Pro. Our testing confirms that ClipWrap also successfully converts Panasonic GH4 AVCHD (mts) footage. This means that files from the Panasonic GH4 can be converted and transcoded, and played in applications like Quicktime Player, iMovie, Avid, and Final Cut Pro. If you're using a Mac running Mac OS X 10.6 or 10.7, ClipWrap is a great solution for working with these files. If you're on a newer Mac, we recommend using EditReady. EditReady works great with the video files recorded by the Panasonic GH4. You can easily preview the files, edit their metadata, apply LUTs, and transcode them to formats like ProRes, DNxHD or H.264. It's the fastest and easiest way to get from capture to edit. We've done our best to include all of the formats this camera supports, but if we've missed any, please let us know.